One of the best parts of any RPG is picking out the best armor, weapons, and gear for your party and characters, and then decking them out in it. 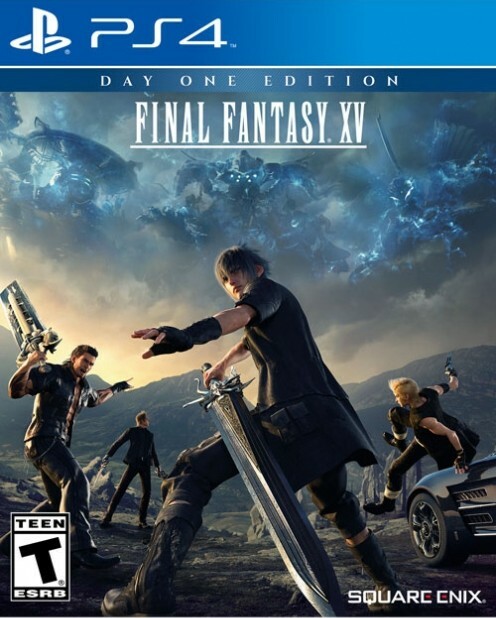 Final Fantasy, as a series, has a history of some iconic weapons and gear, so one can understand fans’ anticipation to learn more about what the weapons will be like in Final Fantasy 15. 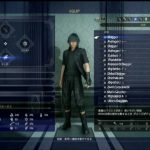 Reddit user Merutan shared a few images taken from the Tokyo Games Show footage of Final Fantasy 15, complete with full text translations. Astute observers and long time fans of the series will see that many weapons from previous games in the series are showing up in this new game, too. 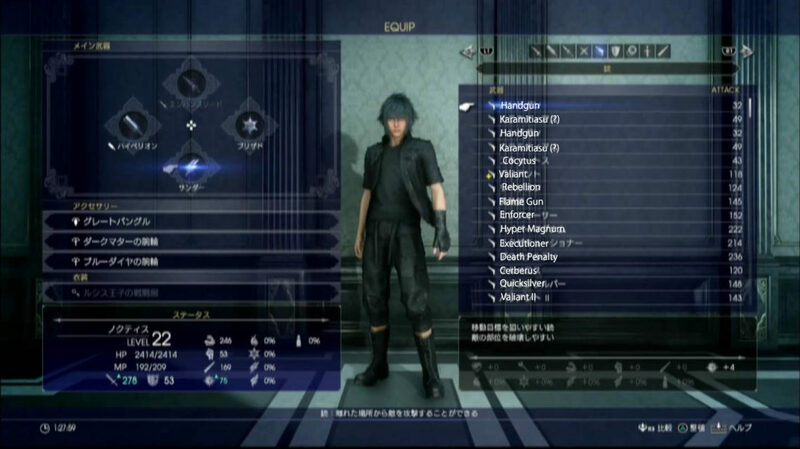 In addition, Merutan also managed to get more details regarding some of the Armiger weapons that have been seen in the recent gameplay footage. 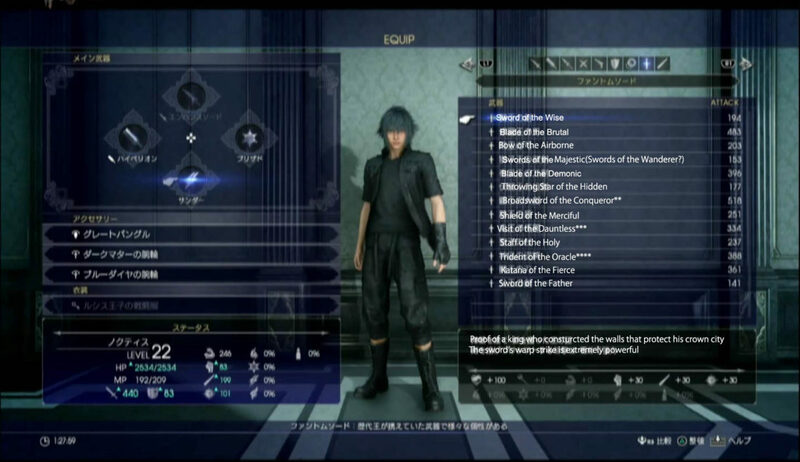 You can read his description below, as well as see the gallery of translated screenshots. 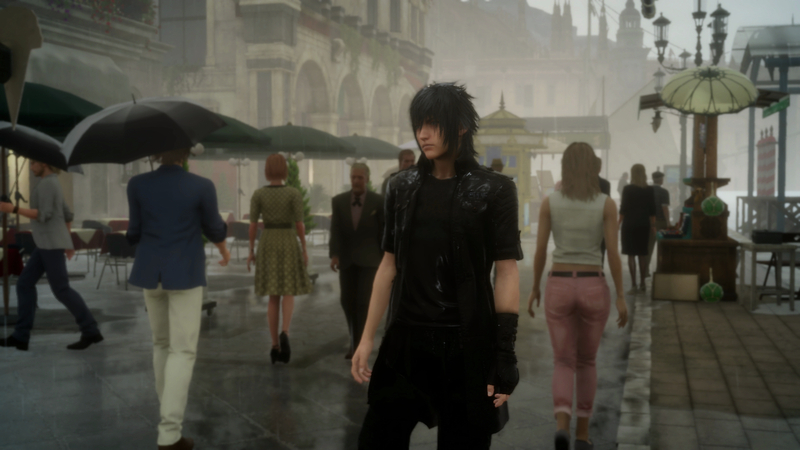 Final Fantasy 15 will launch on Xbox One and PS4 on November 29 worldwide. Swords of the Majestic: The original here is literally ‘Dual-swords of the Lion King'(獅子王の双剣), where lion in reference to a king usually highlights their majestic and brave qualities. 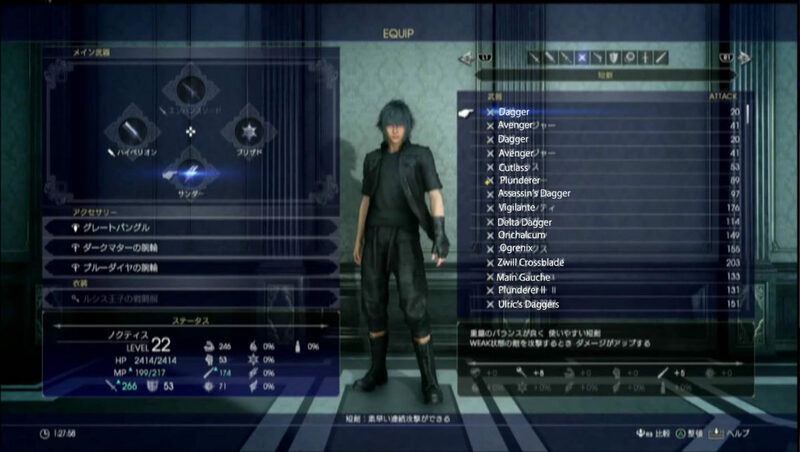 In the 53 minute video I saw Noctis had daggers equipped that are named “Swords of the Wanderer” – since this is the only armiger weapon that is explicitly plural I’m going to assume this is it. Not 100% sure though. Broadsword of the Conqueror: Possibly ‘Blade of the Conqueror’ that we’ve seen so far? However, this is one of the few weapons where the original explicitly calls out broadsword instead of using a generic word for ‘blade’. Visit of the Dauntless: This one is really confusing. The original looks to be 鬼王の枉駕, where 枉駕 means ‘going out of your way to meet someone’. Uh. I did a bunch of searches but none of it was used in the context of weaponry, so I have no idea what this one is referring to. Trident of the Oracle: 逆鉾(sakahoko) is usually used in reference of a very specific tri-pronged spear. 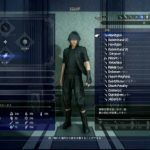 Google ‘ama no sakohoko’ if you’re interested in learning more. On another note, a lot of these armiger weapons use different variations of the word ‘blade/sword’ etc. so it’s not completely clear which weapon type they are.  For example, Blade of the Brutal and Blade of the Demonic are using different words in the original Japanese 刃 vs 刀剣 but honestly they could both be referring to swords/blade/sharp edgy things.